Scared when driving in heavy rainfall? With this amazing Anti-rain Windshield Wiper, you get perfect visibility through your windshield even when it's raining. This spectacular product gives you a long-lasting effect up to 1 year! Increase Visibility: This water rain repellent can be applied to the windshield to drastically increase visibility on a rainy day or night. Protective Film Formed: The solution forms a chemical bond with the glass, unlike silicone-based products that simply coat the glass. Remarkable Effect: This invisible wiper increases water repellency and causes the rain to bead up and roll off. Also, snow, ice, and bugs are easier to remove. Long Lasting: It lasts up to 6 times longer than other products. 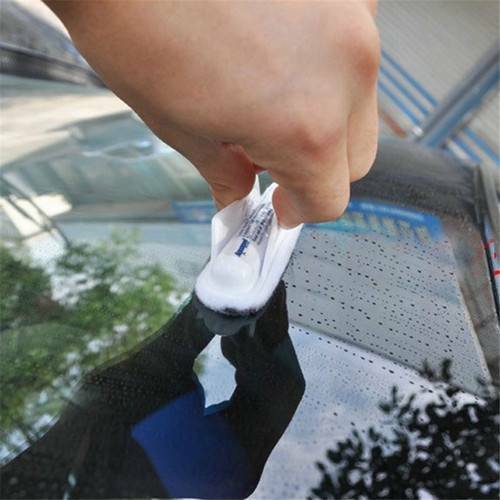 Easy to Use: One applicator treats an average size windshield. No risk: This product will not cause any damage to the glass of the car. For cars and motorcycles: Perfect for all types of vehicles. Squeeze the handle, open the coating and quickly wipe the whole windshield from top to bottom. 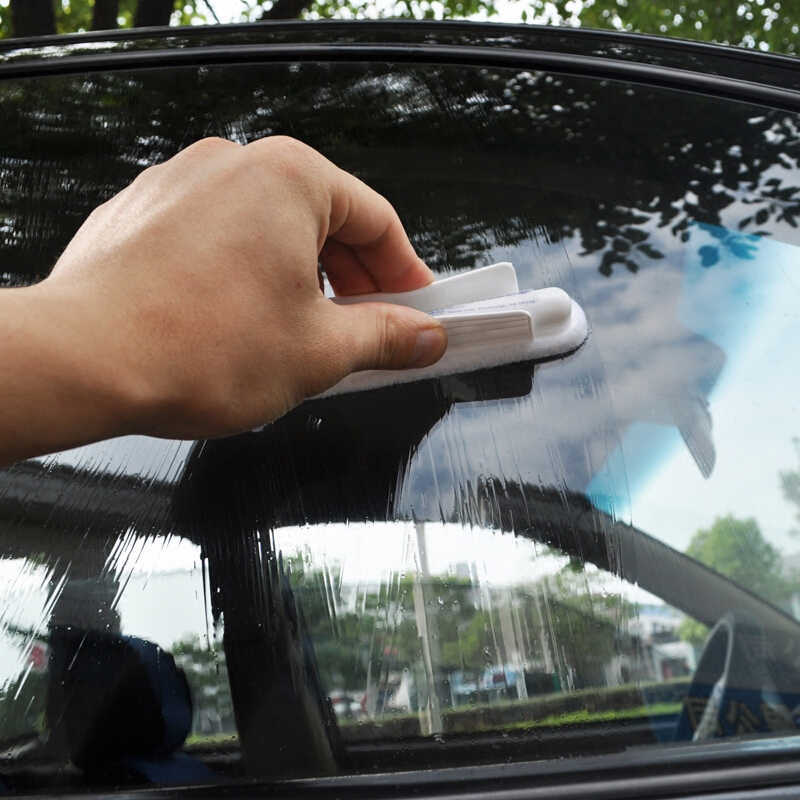 After applying the solution, wait a bit and finally use a towel or a paper towel to wipe the windshield dry. The water repellent will immediately become effective. Great tip: Apply Anti-Rain Windshield Wiper to your mirrors for additional protection on the road. These work great! They are not the easiest thing to put on the car, but they go a long way!. These work great! They are not the easiest thing to put on the car, but they go a long way! Amazing! I had never heard of this product until I heard it mentioned in an auto detailing podcast. All you have to do is make sure your windshield is really clean. Amazing item! I place 5 more orders, gifts for my siblings! I'm a bit skeptical about this item before but when I saw how it works on my brother's car I find it really amazing! I immediately place an order and I got it now! Best item for rain! I love the results! I get two new orders for this for my dad car and sister car. I really like this birthday present from my boyfriend! I did not expected it will work that great! I ask him to get another one of this! Thank you guys! I highly recommend this amazing anti-rain windshield wiper. It works great! Thank you guys! I received it today. This is my 2nd time to get this product from you guys! I like how it works! I placed I new order last Sunday, expecting for more to come. This was my first time using this anti rain and it works pretty good. I may not have applied it correctly but it works. Great glass treatment, works well. Wish there was a little more in each vial to get coverage on all the windows of my car. You really have to use two to get complete coverage, otherwise you will barely have anything left after doing the wind shield and front side windows. I used this product on glass shower doors. I don't know at this point how it is going to work that's why only 4 stars at this point. I like the product. Only complaint is the care needed to avoid getting the liquid on the car paint. Easy to apply but slightly difficult to fully buff back out. Easy to install, good looking, great in the rain. Clears the windshield of rain without leaving even the smallest streak or drop. I�m a little nervous about snow and ice performance, but I�ll have to wait another month or two to rate that. I bought these to change out my original wipers on an Acura TSX.Once installed, they seem to work fine and I have used them several times since installing. Hopefully they last. Used these on my wife's 2013 Durango. These wipers work very well. Easy to install. HIGHLY RECOMMENDED. Quick delivery, fit perfectly, and work great so far just cleaning dust off the windshield. I'll know more once it starts raining. These have been on my car for about a month. They are very smooth and don't squeak or drag. I did "super" clean the windshield and wax it with carnauba wax prior to installation. I'm hoping these will last a long while. These are hands down the quietest wiper I�ve ever purchased. Less than a year ago, One day I was headed to work and one of them flew off my car, so I took the opportunity to purchase these wiper and I couldn�t be happier! These blades work no BS. They bolt on even the weird setup on my W211 Mercedes. Tight fit against the winshield to move every drop of water. Affordable price for a quality product. Works great. Better than other wippers you find at auto shops. Its bends and forms well ti windshield. No streaks! This is easy to use and works on my car like a dream. wipes away water very clean. Sooo nice! 2016 Toyota Tundra. It works very nicely and great! I have gone thru a ton of wipers in my time and so far these are the best yet. They seem very sturdy and well made and clear my windshield with perfection and ease. I�ve used them for a few weeks now and so far am very happy. I will update if there are any issues. They should hold up over the winter. They look will made. nice blades. quiet and clean.